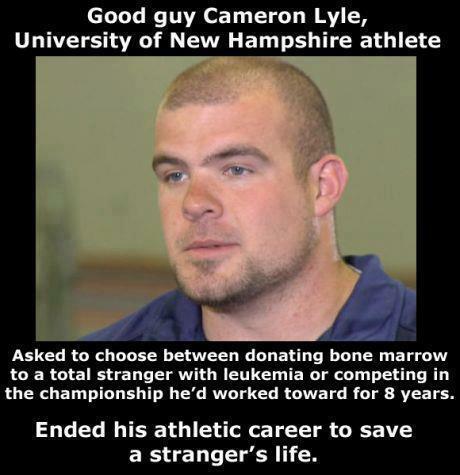 Absolutely great story, and a reason we should all consider being in the bone marrow registry. I am registered and am hopeful I get the chance to save a life someday. The NCAA and UNH should grant him an extension, allowing him to return to school to pursue a Master’s degree and complete his track career. It really is a fantastic story and a shining example of the human spirit. This athlete was willing to walk away from it all to help a total stranger. That’s the kind of attitude we should be teaching our youth athletes.